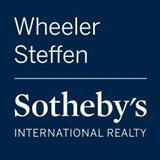 Geoff Hamill and Wheeler Steffen Sotheby's International Realty! FREE Market Analysis of your Home or Property, Click Here! For over 25 years, Geoff Hamill has been committed to his profession, providing exceptional "one-on-one" personal service based on honesty, knowledge, a refined ability to listen, superior negotiation skills, accelerated marketing strategies, and a sincere interest in helping people meet their needs. The quality of the customer service Geoff provides is one of the most important elements in his success. He is committed to anticipating his clients' needs and responding to them thoughtfully and efficiently. Resourceful and a problem-solver, he is a careful listener, pays meticulous attention to detail, and enjoys working with people personally to translate their ideas and needs into reality. For superior real estate representation, please contact Geoff today! map to my office or anywhere else?